The ultimate in poolside opulence, LIQUID Pool Lounge at ARIA is defined by its distinctive contemporary ambiance and ultra VIP service. Designed by Graft Lab, Liquid features high-tech amenities with 85 chaise lounges, 35 daybed and 8 private cabanas, offering prime seclusion within the already exclusive setting. Electrifying beats spun by world-class DJs sets a lively mood as guests enjoy the exclusivity and seclusion provided by towering palms. Two luxury pools create a tempting and cool oasis from the hot Vegas sun. Private cabanas equipped with modern technologies, comfortable furniture and contemporary design are available. 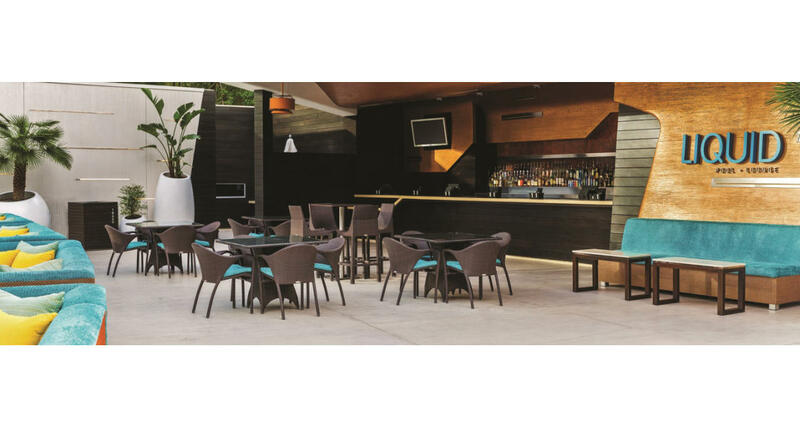 Multiple bars and a mouthwatering menu complement personalized chaise lounge and daybed services, which provide the perfect summertime refuge.